This Biennial (or sometimes short-lived Perennial) was imported to Europe via Southwestern China around the 15th Century, where it was not only used as an ornamental, but was thought to help with relieving constipation and as an anti-inflammatory, primarily being used as a mouthwash for bleeding gums. For many years, the Hollyhock was thought to be a Perennial; it self-sows freely when it goes to seed. 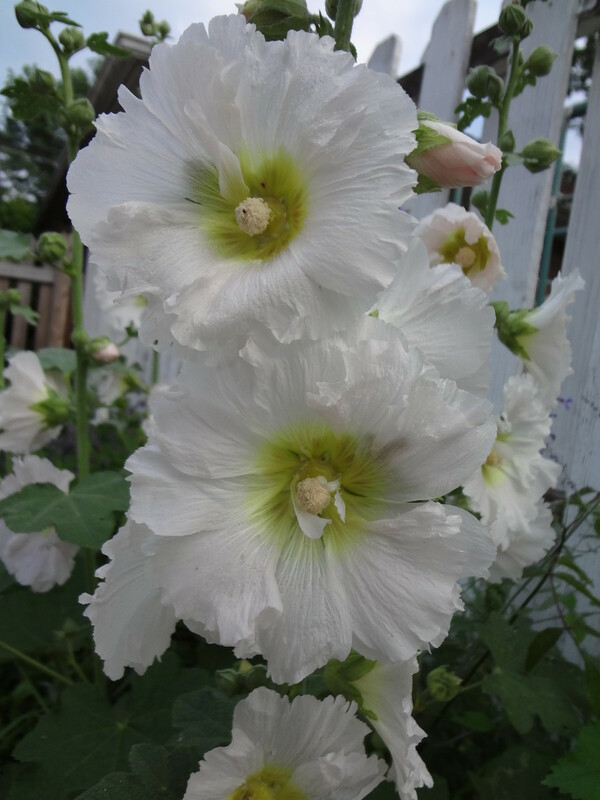 Because of it's extraordinary blossoms combined with it's tall stature, the Hollyhock is primarily used in gardens that recreate a Cottage or Victorian feel. It is a wonderful back of the border plant to add height and interest to the landscape. 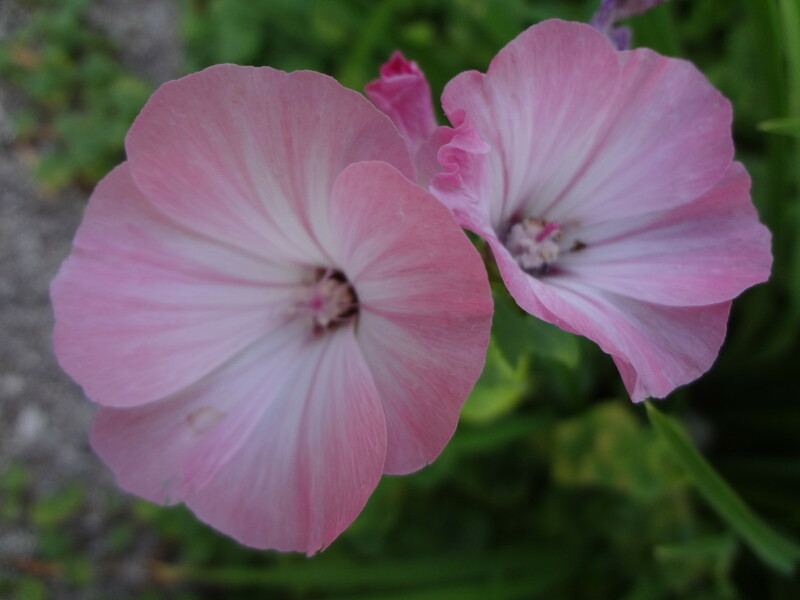 There are over 60 species of flowering plants in the Mallow family to which Hollyhocks belong. Some dwarf varieties will reach 3 feet in height, where other varieties have been known to reach up to 10 feet in height! Hollyhocks are extremely easy to grow from seed and this the preferred method of propagation. 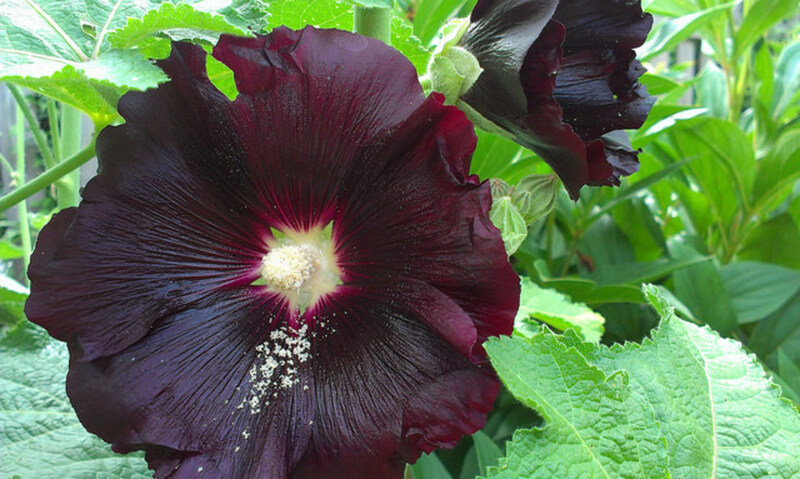 For best results, plant your Hollyhock seeds in late summer/early fall for the following summer blooms. 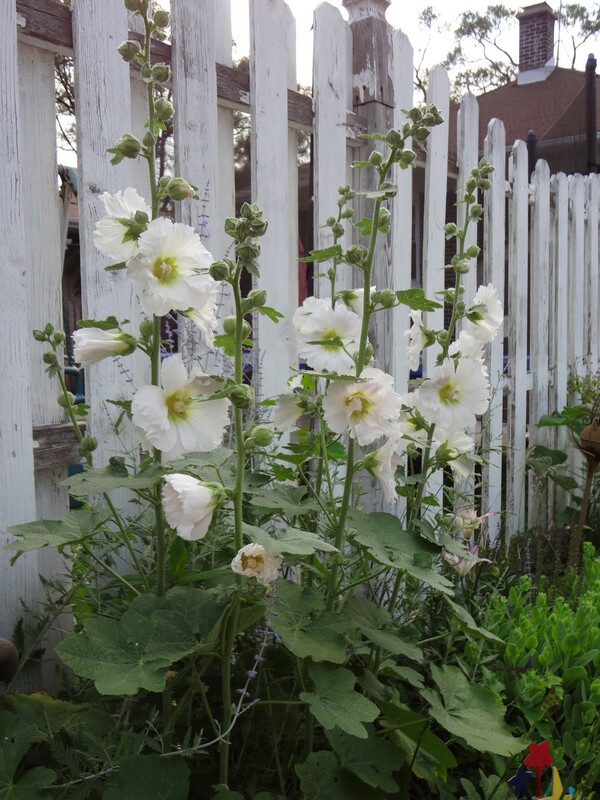 Hollyhocks do fine if planted in the spring, but your blooms will be less and the plants won't reach their full height, which is why they are started in the fall for the next summer bloom period. Plant your seeds about 1/4 of an inch deep and 6 inches apart in full sun. The Hollyhocks aren't too fussy about soil, as long as it drains properly. They are best grown in Zones 4 through 10. 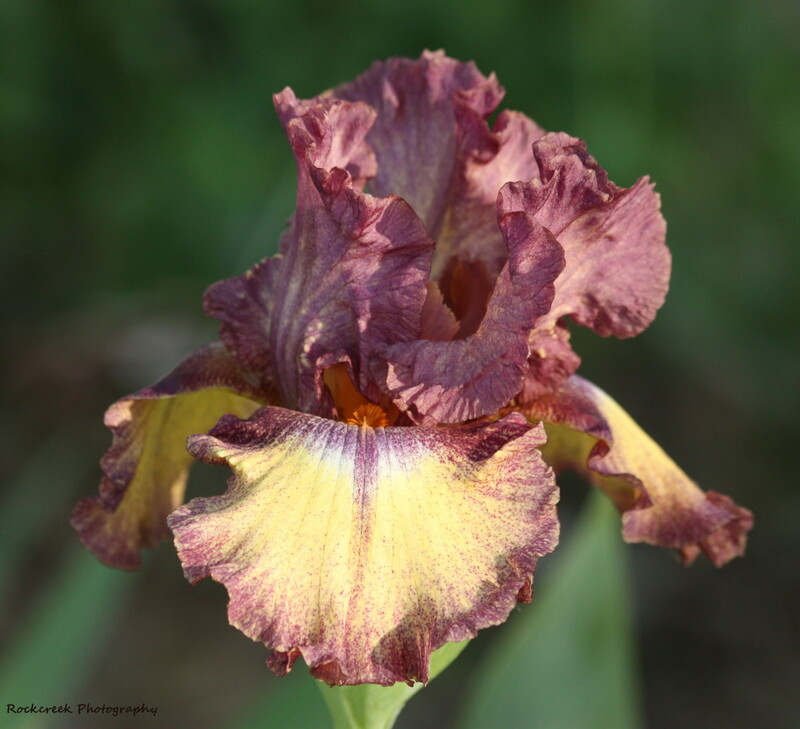 Blooms range in color from pink, red, purple, cream, yellow, apricot and nearly black depending on the variety. They grow on erect, fuzzy leaves and rarely need staking. Saving seeds is very simple. In late fall, after the blooms have faded and the seed head has formed (see example of the seed heads in photo above), pull the seed head off the stalk. Break open the seed head and you will see lots of tightly packed disc-shaped seeds. Place them on a paper towel and let them dry for a few days if needed, or if they are already dry place in a storage container (I like to use old prescription bottles from the pharmacy) and place in a dry, dark and room temperature area in your home. A linen closet or broom closet works well for this and that is where I store mine. Don't forget to label the container! 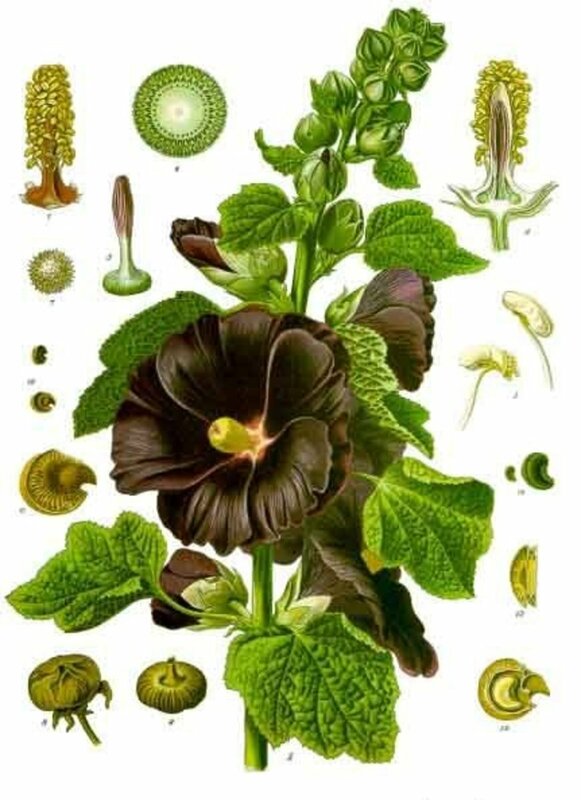 I also take some of the collected seeds and re-sow them near the mother plants so I get a continuous flush of Hollyhock plants in my planting bed. Which color of Hollyhock are you drawn to? All of them, I just can't choose a favorite! The Painted Lady butterfly uses Hollyhock leaves as their primary source of food in the larval stage. Hollyhocks, especially red colored ones, attract Hummingbirds. 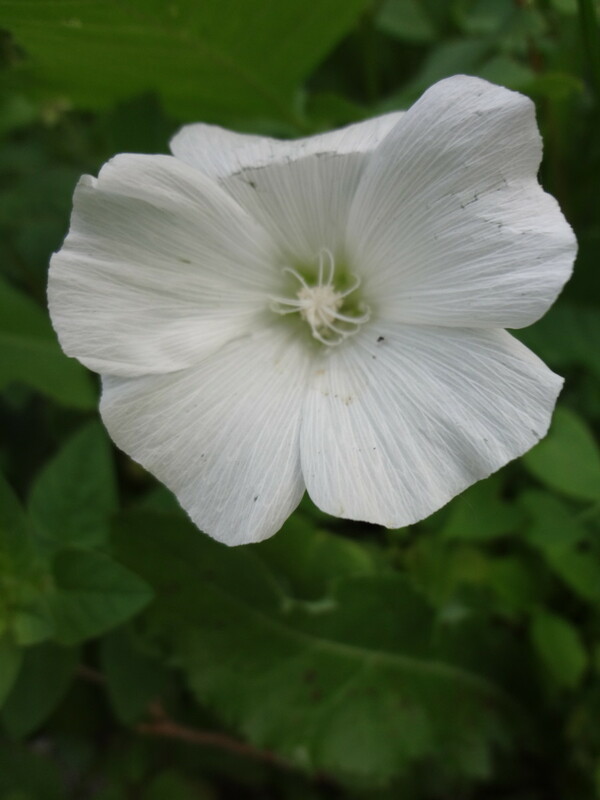 The Mallow family include Rose Mallow (seen in photos below) and Zebra Mallow. 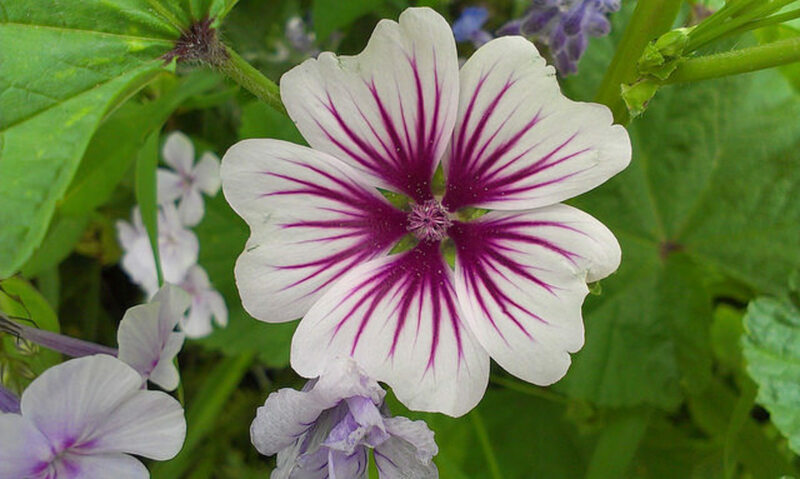 These Mallows range in colors of light pink, white, lavender-pink and lavender with purple stripes (Zebra Mallow). They are generally shorter than their Hollyhock relatives, topping out at about 4 feet. While they are considered a low-maintenance plant, they do sometimes have issues. Primarily, leaf miners and powdery mildew. You know you have leaf miners when you check the leaves and see squiggles and patterns in the leaf. Organic insecticides work to control them, but you may need several applications. Or, you can plant other things the leaf miners enjoy, such as Lamb's Quarters, Columbine and Velvetleaf if you don't mind sacrificing one of these plants to the bugs. Powdery Mildew can be avoided by making sure they are planted with plenty of sunlight and air circulation. If you need to provide water, do so by watering under the foliage near the ground with a watering wand, or if you need to turn on a sprinkler system, do so in the morning so the plants have a chance to dry out. I've been flipping through your hubs today looking at all the gorgeous flowers. I can't wait for warmer weather! 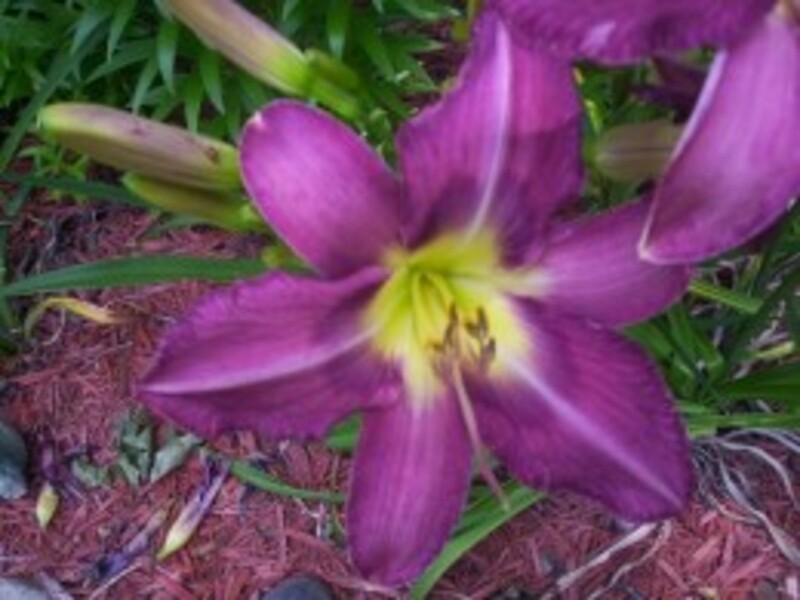 We are looking to add some flowers to some landscape this year, and your hubs have been sooooo useful for us. What a beautiful hub; I could almost inhale all those wondrous scents. Voted up and thoroughly enjoyed. Thanks for this look at Hollyhocks. 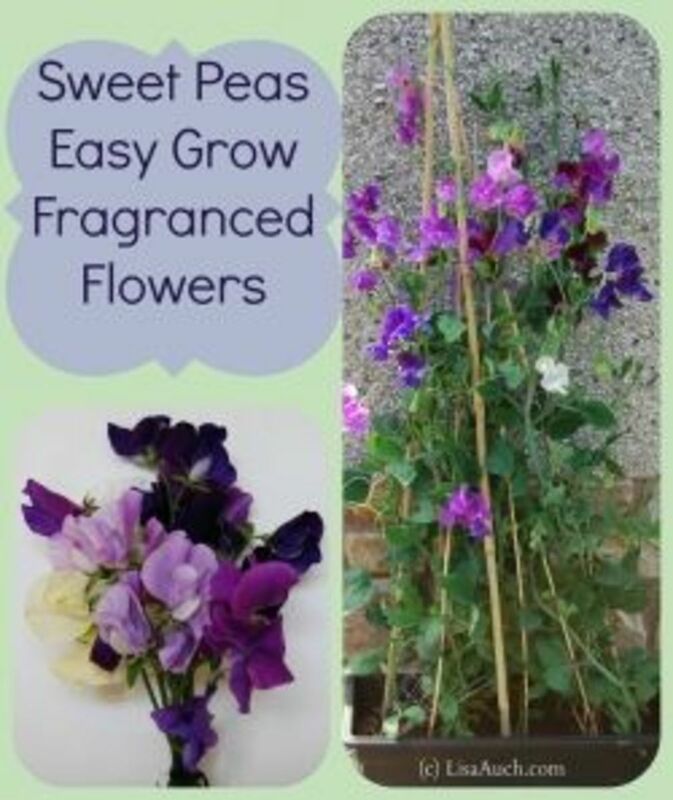 Am looking forward to adding them to my garden again and this refresher course was helpful. I have an affinity for white flowers, but all your photos are really beautiful, making me want get plants in right away. Yes they do and oddly enough, I planted an Indian spring mixed packet and only got white! 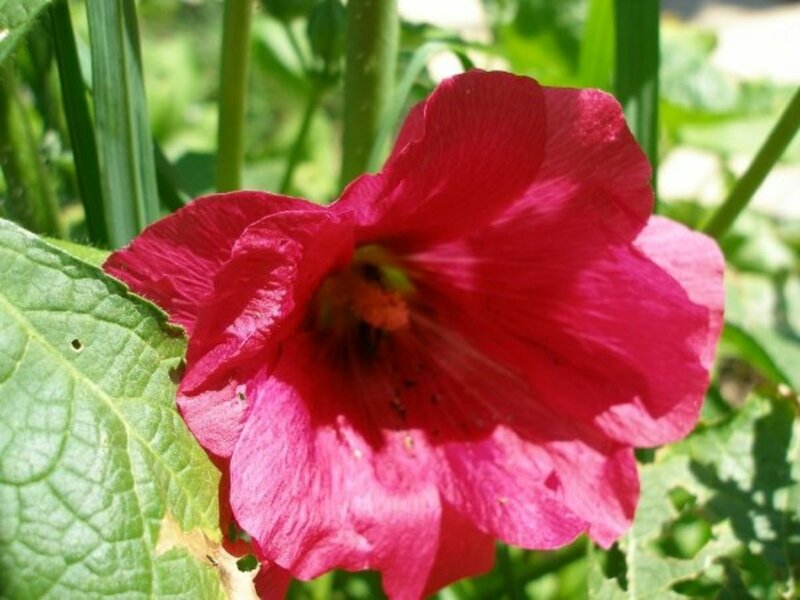 The Indian Spring hollyhocks--like the one in your picture--really are stunning. The white is gorgeous, but they come in many colors.